After training with West Coast Kicking Academy for 6 years, I became a High School 1st Team All-American my senior year at Corona Del Mar High School, connecting on a state record 22 FG’s and helping our team win a CIF championship at Angel Stadium. It was the only year I was able to to play Varsity Football and was fortunate to play on a good team with caring coaches. I didn’t know what to expect, but the year turned out to be better than I could have imagined! In the first game, I connected on a 52 yard FG, a couple weeks later, I made 4 Fg’s against our crosstown rival. As the season progressed, a steady confidence came over me, I knew the field goal would be good before I even kicked the ball. At one point connecting on 16 straight FG’s. It season wasn’t all perfect however, there were some hurdles to overcome. During a short stretch midway through the season, I went into a slump and missed a few kicks. Fortunately, I had coaches and teammates that were positive and uplifting. I remembered to go back to the basics and trust the technique that I had worked on with West Coast Kicking Academy. Back in rhythm during the playoffs, my season was capped off by making a 42 yard FG in the CIF Final at Angel Stadium. I’ll never forget that experience. Most importantly, we won the game! Being selected All-American was a dream that I never would have thought possible and an honor that will stay with me forever. It’s very humbling. I owe a great deal of my success to the years of training with West Coast Kicking Academy. You will not find coaches who care about you not just as an athlete, but an everyday person, more than Brad Bohn and his staff, full of college and NFL experience as well. They not only improved my technique and skills of becoming a better kicker, they have led me to become a better person. They've prepared me for not just to succeed on the football field, but succeed in all aspects of life. Having trained with Brad Bohn and his staff at the camp, I've come to trust their technique and work ethic they've taught me and used it on and off the field. What it is like to be the mom of a kicker? For me, it's 90% amazing, 5% frustrating and 5% nauseating. I will forever treasure the Sunday's I have spent driving to and from Saddleback or OCC and shagging more balls in 3 years than I would have ever thought possible. Depending on the day, the drive can either be full of laughs or very, very quite but either way I wouldn't trade it for anything. As my family will all tell you, it's very hard for me to watch them kick in a game. I keep hoping it will get easier, not sure it will but I love every minute of it. When this journey started, I had no idea where to find a kicking coach. John Baxter, former USC Special Teams Coach, recommended Brad, Alan and West Coast Kicking. The boys have been training with them since. I know when they walk on the field they are as prepared as they can be, even if they miss:). The growth they have achieved, the friends they have made and they coaching they have had is amazing! It has been a great ride, one that I am thankful for everyday and I hope it continues for many more years. Just last night my son, Sebastian, and I returned from a trip to Seattle where my he had a meeting with University of Washington's Special Teams coach. I have never had a better Mother's Day experience than that wondrous culmination of all of my experiences as a mother watching him doing his kicking work from the high school football stadium stands. My son would certainly not ever have dreamed of an outcome like this, and thoughts of him possibly playing Division 1 Football never would have crossed my mind as he was growing up. Sebastian was a soccer player from a very young age, and never had any football experience. The kind of serendipity he experienced one day after soccer practice at Beckman High School, the summer before his freshman year, is simply amazing. Walking near the practice field, he happened to meet Coach Brad Bohn from West Coast Kicking Academy, who was working that year as the Freshman Football Head Coach, in addition to his Special Teams coaching work. Coach Bohn encouraged Sebastian to try football, and when the answer was 'I'm a soccer player', he asked Sebastian to kick a football toward a distant fence. After seeing that first ball hit the fence, Coach Bohn invited Sebastian to join the freshman team as Kicker. Coach Bohn took Sebastian immediately under his extraordinary Special Teams wing, and began training. Due to the incredibly professional level of technique training that Sebastian received from Coach Bohn and West Coast Kicking Academy, his success on the field was almost immediate. Sebastian performed as if he were a seasoned Kicker, not like one who had just begun learning 6 weeks prior. During his sophomore year, on the Varsity team, Sebastian broke school records, and continued to improve for two more years under the consistent training and mentorship of West Coast Kicking staff. During all four years sitting in the stands watching Sebastian play, I cannot adequately express the mixed emotions of extreme pride, happiness, and nervousness at the key moments when all eyes were on my son, and with success or failure he potentially could be altering his future in ways which will not be known for years to come. Most of all I am thankful to have been able to watch my sweet little boy growing up to be a respectful young man of solid character and quiet strength which allows him to pursue his dreams, mindful that the possibilities are limitless. I always wanted to have a chance to kick a game winning field goal. It's every kicker's dream. The same way a baseball player hopes to hit a walk-off home run, or a basketball player make a buzzer-beating 3-pointer. 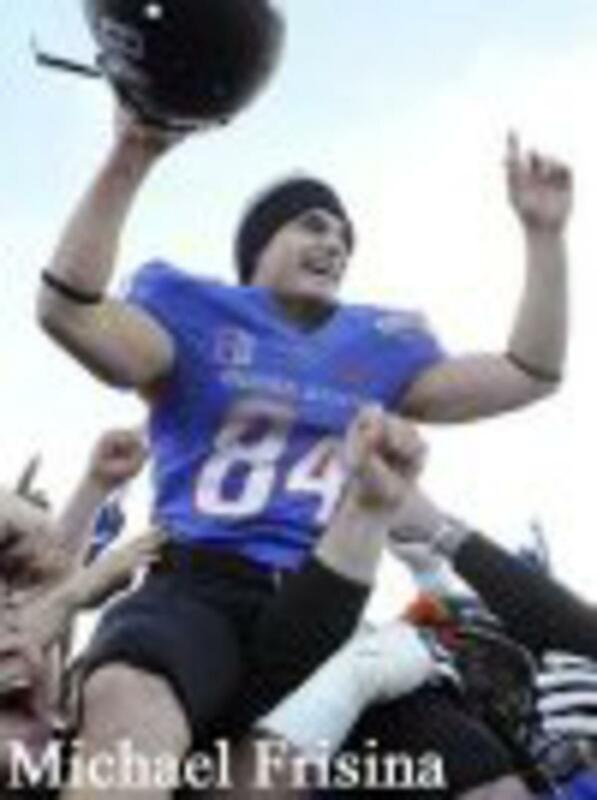 Deep down I always had a feeling I would get my shot, but heading into my last collegiate game at Boise State it had yet to occur. 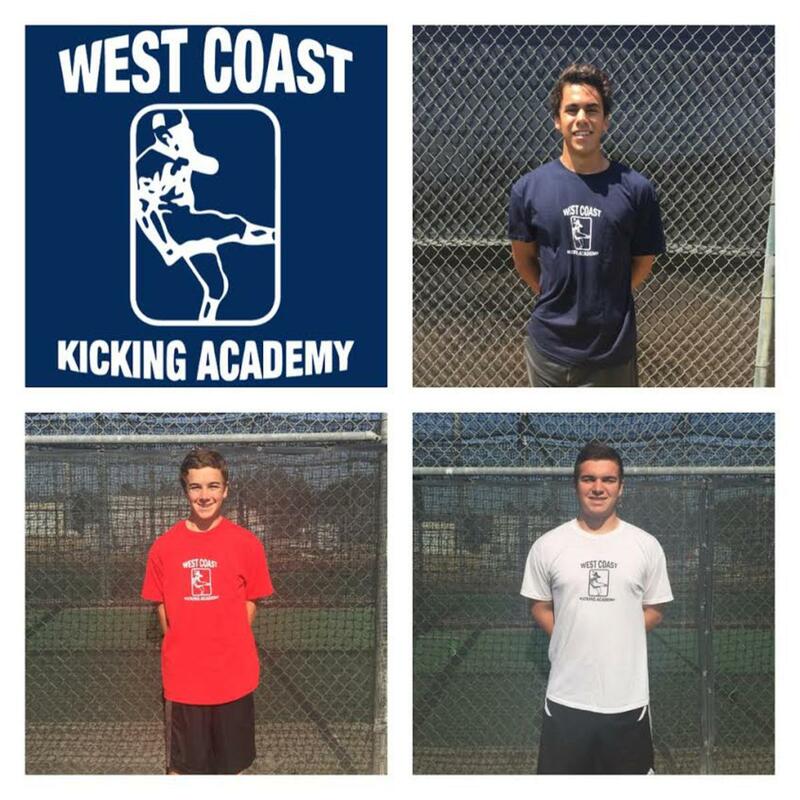 I had been training with West Coast Kicking Academy since the summer in between my 7th and 8th grade year. Due to my size, I knew I could not kick with all the bombers and had to place a premium on accuracy. Training with Brad and Alan Bohn gave me confidence. They were teaching me the same technique that Brad had used to become an All-American at Utah State, and kick a game winner in a NFL game with the Detroit Lions. I looked up to Brad because of his size; if he could do it, then so could I. Fast forward 9 years. December 22, 2012. Maaco Bowl Las Vegas. Sam Boyd Stadium vs the University of Washington. My last collegiate game, and since I had no intentions of playing professional football, the last football game of my career. We got out to a big lead but I knew Washington would make it interesting. They came back to eventually take a one point lead with just over 2 minutes left. I knew this was going to come down to me. A big kick return set us up with good field position and I immediately went to my kicking net to start practicing. The ball was on the same side of the field as my net so I had to deal with my teammates crowding around me, television cameras in my face; they too were anticipating a game winning attempt. When one of our coaches came up to me and asked me where I wanted the ball, I told him I wanted it on the right hash. It was the hash we always practiced on during our "clutch" period in practice. It was where I felt most comfortable. I knew they were setting me up to do my thing. We ran the ball three times to the right hash and our Special Teams coach called out, "Blue Money, Blue Money," signaling the field goal team on to the field. Washington called time out. They were icing me. I began my visualization techniques that I had developed over the years. I trotted out on to the field, the crowd was buzzing. Half cheering for me, the other half jeering against me. This is what I wanted. I'd be lying if I said I wasn't nervous. Who wouldn't be? But once I marked my spot on the turf and my holder did the same, everything got quiet. The noise lessened. The goal posts became more clear. I was in my zone. So many times before at training sessions on Sundays with WCKA or at practices in Boise, I had gone through this routine. The situation didn't change anything. I had to trust my technique. Brad and Alan had reiterated this to me growing up and it was fitting that it all came to fruition at this moment. I took my steps. Three back, two over. Eyed my spot on the turf. Eyed my target, then eyed my spot again. I took a deep breath, shook out the tension in my shoulders and nodded to my holder. Right when I hit it I knew I made it. I kept my eyes back, followed through, and looked up just as the ball hit its peak. I didn't even see the split the uprights. I immediately put my fist in the air and turned to my holder. He stuck his hand out and gave me a high five. Then the mayhem ensued. The linemen swarmed me. My holder head-butted me. Then I jogged off to the sideline to see my teammates in a frenzy. The game ended and my teammates picked me up on their shoulders and chanted my name. The fans came out onto the field and I was able to see my family and friends. My parents and sister were crying. It was so surreal, and a moment and feeling I will never forget. Training with WCKA prepared me for this moment like no other kicking coach, or institution could. There's a reason they have the word 'Academy' in their name. They teach young men about the art of kicking, and all that goes with it. Brad, Alan and staff are one of a kind. I wouldn't have developed into the kicker I became without them.